Start your day the right way with a fruit and yoghurt parfait, made with Nature’s Path fruity granola. Take the mango chunks and place in blender or hand whiz until smooth. 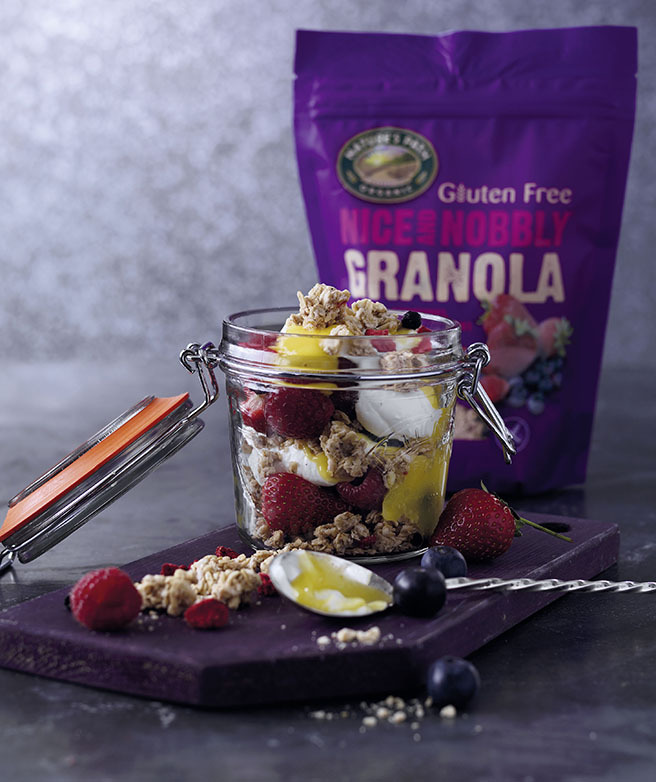 Use a screw top jar or plastic tub with lid – If your eating on the go…..
Start with a couple of spoonfuls of Nobbly granola followed by some fruit and a spoonful of yogurt and then top with mango puree. 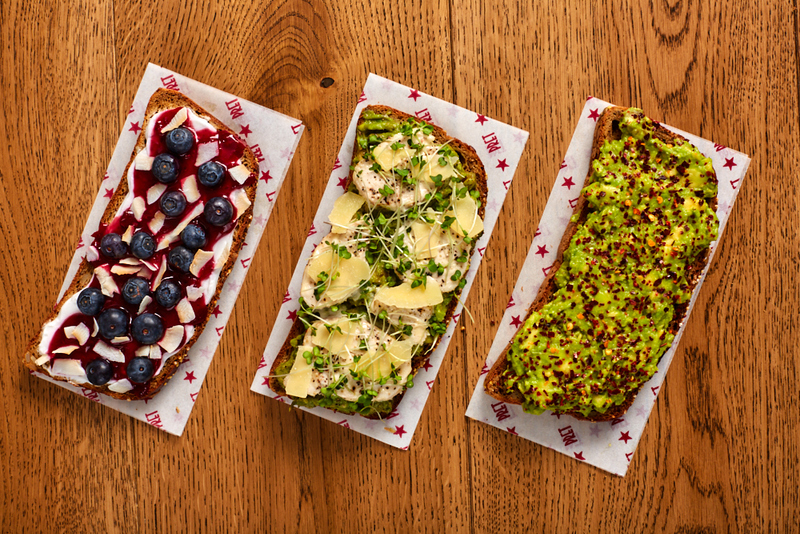 Repeat this a few times – place lid on top & – that’s it your ready to go!